The Angola office is centrally located in the beautiful downtown area. 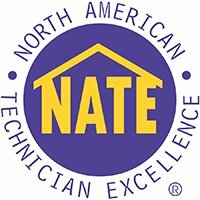 Like the residents of this well-established community, we are hardworking and quality oriented, striving to meet your every HVAC need. Our central location ensures that “Masters gets there faster” with 6 locations to serve you better. Our superior systems allow you the convenience of WiFi controlled thermostats to provide you with comfortable, temperate homes at your fingertips. Our maintenance programs make owning either a first or second home worry-free. Because we are dedicated to the communities we serve, you’ll often see us supporting local Chamber of Commerce events. We also strive to preserve the lakes and neighboring farms, which is why we’re expert in installing geothermal HVAC systems. Let our expert staff show you how a geothermal system can meet your needs, provide a return on your investment and allow you to leave a smaller carbon footprint. 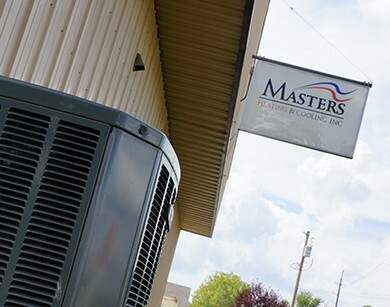 Whether, residential or commercial, we have the resources to provide top notch HVAC services. Our team of commercial service technicians and installers are highly qualified to provide not only ongoing maintenance or repair to your current commercial system; retrofitting upgrades to established buildings; but also are able to provide design/build expertise for your new building from the ground up. Call our office today or for a complete list of our satisfied commercial customers. Angola, Ashley, Athens, Bronson, Bryan, Burr Oak, Butler, Camden, Coldwater, Corunna, Edgerton, Edon, Fremont, Hamilton, Howe, Hudson, Jonesville, Kendallville, Lagrange, Ligonier, Litchfield, Montgomery, Montpelier, Ney, Orland, Pleasant Lake, Quincy, Reading, Rome City, Shipshewana, South Milford, Stroh, Sturgis, Tekonsha, Topeka, Union City, Waterloo, White Pigeon, and Wolcottville.